Firming and tightening skin has been a challenge, as most current options are expensive and laden with unwanted ingredients. 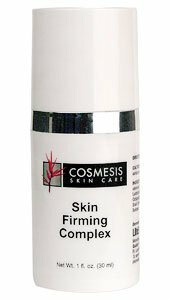 Cosmesis Skin Care has developed Skin Firming Complex, a multi-nutrient serum that lifts and tightens skin on the face and neck area for visibly firmer, more defined, younger-looking skin. Palmitoyl peptides support collagen synthesis. Helps soften the appearance of wrinkles and fine lines. Plant stem cell extracts promote a healthy response to ultraviolet (UV) exposure. Boosts adenosine triphosphate (ATP) energy for skin rejuvenation. 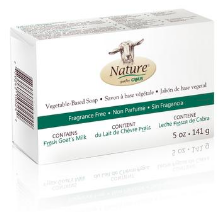 Snail mucin supports skin smoothness and hydration. Hyaluronic acid keeps skin supple, firm, and hydrated. Silicates make skin tighter and firmer. Palmitoyl tetrapeptide-7 and palmitoyl tripep­tide- stimulate new collagen synthesis in specialized skin cells known as fibro­blasts. These peptides also attenuate the inflammatory response to UV exposure in the skin to impede the breakdown of existing collagen. This makes both peptides fight­ers against the appearance of wrinkles. In one study, palmitoyl tetrapeptide- along with another oligopeptide reduced the depth and volume of wrinkles by 15% and 18%, respectively, as well as improved skin roughness and tone after two months of daily application. Directions: Apply 1 to 2 drops to clean skin on areas of concern. Use morning and evening. Ingredients: Purified Water, Sodium Silicate, Magnesium Aluminum Silicate, Acai (Euterpe oleracea) Fruit Extract, Perilla Frutescens Extract, White Oak (Quercus alba) Bark Extract, Lactobacillus Ferment, Palmitoyl Tripeptide-1, Glycerin, Palmitoyl Tetrapeptide-7, Acetyl Octapeptide-3, Acetyl Hexapeptide-8, Pentapeptide-18, Sodium Hyaluronate, Caprylyl Glycol, Snail Secretion Filtrate, Cellulose Gum, Phenoxyethanol, Ethylhexylglycerin, Potassium Sorbate. Warning; Keep out of reach of children. For external use only. Avoid contact with eyes. If product contacts eyes, rinse thoroughly with water. If rash or irritation occurs, please discontinue use.